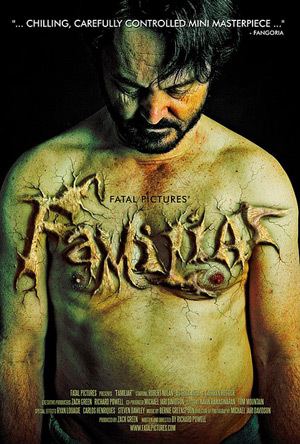 As the horror film-festival circuit starts to ramp up for 2012, there’s a filmmaking team called Fatal Pictures, made up of producer/director Richard Powell and producer Zach Green, to watch out for. Their style is a mix of dark drama and fright that tends to deal with the horrors inside ourselves rather than the world around us. The duo made their first short, CONSUMPTION, in 2008, and more recently completed WORM and FAMILIAR, both starring Robert Nolan. 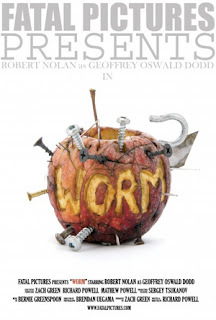 WORM has been out a little while now, screening at events like The Sydney Underground Film Festival, Dark Bridges Film Festival, and The Horror Society Film Festival, but expect more play around the country this year, along with FAMILIAR. Read both reviews here.